Do you smile every time you see a dog? 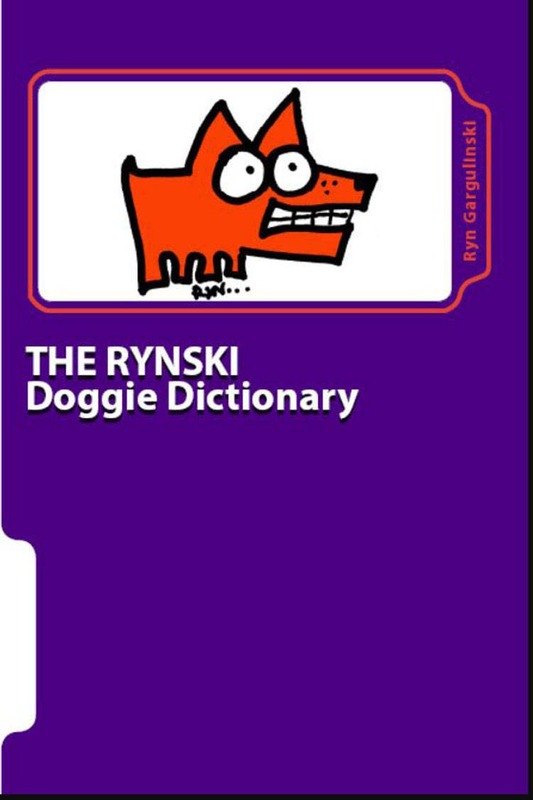 Then be prepared to break into a grin at least 81 times with The Rynski Doggie Dictionary. More than 80 full-color canine cartoons accompany a pack of dog terms, tidbits, expressions and proverbs all punctuated with the Rynski signature style. This book is a must for dog owners, dog lovers, wordsmiths and folks who simply dig a really good laugh. Amaze your friends. Amuse your dogs. Astound your family with the perky pooch facts found in this delightful dog dictionary. While Ryn Gargulinski (aka Rynski) is the official human author and illustrator of this book, the devoted dog mom has been inspired by her hounds along the way. Current dogs Elmo and Gigi served as muses as well as models for some of the doggie illustrations. Ryn has long been weaving dogs into her life and career, covering the pet beat at newspapers, writing online dog research articles and blogs, and selling one-of-a-kind dog signs on right here on the Rynski Etsy shop. With Reiki Level II certification, Rynski now includes Reiki for dogs into the mix. We wanted a sign to let visitors know to shut the gate after entering, and Ryn’s sign is perfect - playful yet informative. Communication about the sign was easy and the sign arrived quickly. 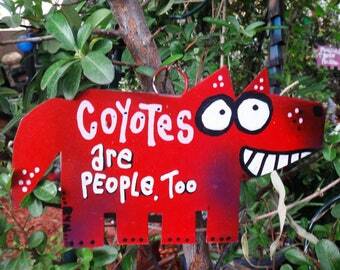 Might have to send a few signs to friends next Christmas. Highly recommended! This is not our first order so we knew we could expect the best ~ with appropriate measure or artistic expression. Special order details were quickly exchanged and the turn around time almost non-existent. This is not my first time ordering, so that says something. I love the sign. It turned out better then I could ever imagine. Thank you again! I love this magnet on my fridge. The seller was great to deal with my request for a custom color. Great transaction and hope to buy more in the future!